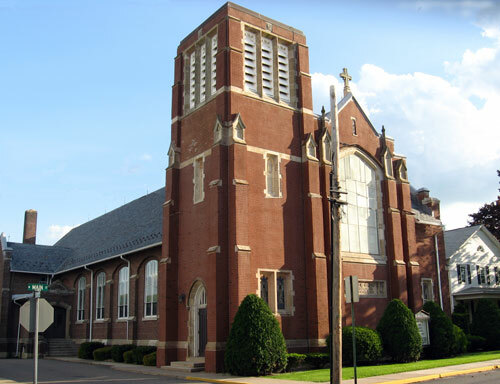 Welcome members, friends, neighbors, and visitors, to St. John's Lutheran Church in Ringtown, PA. We're glad you're here. St. John's Helping Hands: Just a reminder about the ongoing card sale sponsored by the St. John's Helping Hands group. Get Well, Sympathy, Birthday, and All Occasion cards are available. Claimed by Almighty God through the waters of Holy Baptism, we, the people of St. John's Lutheran Church, Ringtown, Pa. are rooted to the wonderful promises of God given to us by our Lord Jesus Christ. Renewed and empowered by the good news of salvation through word and sacrament, we commit ourselves to planting the word of God both here and around the world through proclamation, ministry, service, and support to all people so that the love of Christ may be shared in word and deed and all may come to know Jesus Christ as Lord and Savior. This website is part of the ministry of the members of St. John's Lutheran Church, Ringtown, PA. Please celebrate with us each Sunday at 10:30 a.m.